Irvine, Calif. – R.D. Olson Construction hosts its fifth annual charity golf tournament on Monday, April 21, with all proceeds benefiting the Pediatric Cancer Research Foundation (PCRF), an Irvine, Calif.-based organization that funds research to help cure childhood cancers. PCRF is committed to improving the care, quality of life and survival rate of children with malignant diseases. Since its inception in 1982, PCRF has raised more than $30 million to fund research for the treatment of these diseases. The R.D. 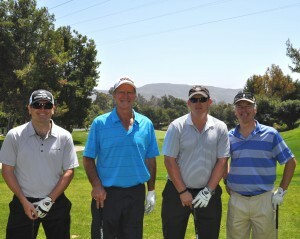 Olson Construction Charity Golf Tournament will be held at Marbella Country Club in San Juan Capistrano, Calif. The tournament features a catered lunch prior to a 12:00 p.m. shotgun start, and is followed by a networking reception for the real estate, design and construction industries, as well as a silent auction focused on raising significant funds for the foundation. Major sponsors for the event include A.J. Kirkwood and Associates, Marriott International, CBRE, Moss Adams and Republic Windows. For more information, please contact Tim Cromwell at tcromwell@rdolson.com, or 949-474-2001.